Eric Dupont's novel 'Songs for the Cold of Heart' has sold 60,000 copies in Quebec, but few English-Canadians have heard of him. Day 6 books columnist Becky Toyne reviews the book and answers the question: Should you read it? He's a huge hit in Quebec, so why have so few English-Canadians heard of Giller finalist Eric Dupont? 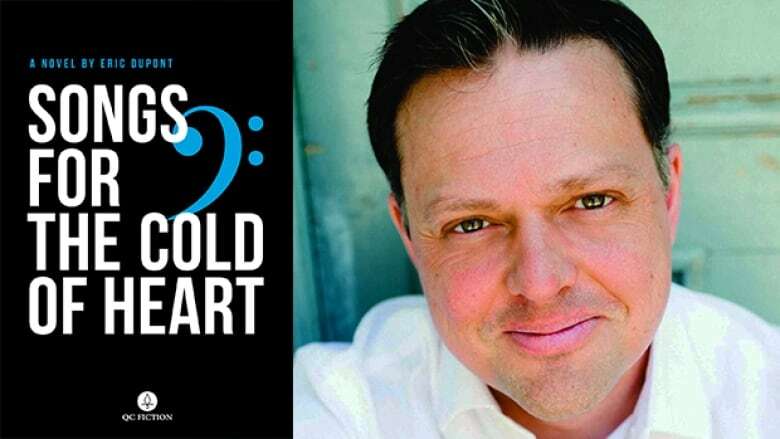 When Eric Dupont's Songs for the Cold of Heart was named to the Giller shortlist at a news conference in October, the response in the room was muted — not because the people in the audience didn't like his book, but because they hadn't heard of it. Dupont is a Quebec writer, and among French-Canadians his novel is extremely popular. Songs for the Cold of Heart has sold more than 60,000 copies in Quebec, which is considered a major success for a novel. But in English-Canada, his work is not well known. Not yet, anyway. Songs for the Cold of Heart, translated by Peter McCambridge, is among the five books shortlisted to this year's Scotiabank Giller Prize. 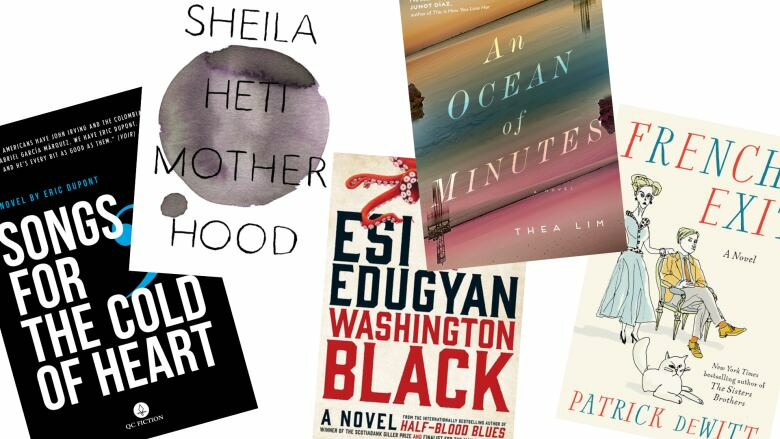 The other shortlisted authors are Patrick DeWitt for French Exit, Esi Edugyan for Washington Black, Sheila Heti for Motherhood, and Thea Lim for An Ocean of Minutes. This year marks the 25th anniversary of the Gillers, and in all that time a book in translation has never won the prize. We'll find out at the prize ceremony on November 19 if Dupont and McCambridge will make history with a win. Day 6 books columnist Becky Toyne spoke with host Brent Bambury about the novel and its potential to win over English-Canada. Songs for the Cold of Heartis a sweeping multi-generational story about a family who tell their story, well, through their stories. "It is a vast, sprawling, many-tentacled story that stretches the limits of plausibility at times. But in a really fun way, in a really dark way," said Toyne. "And the story spans almost the entirety of the 20th century." The Lamontagne's family story begins in Rivière-du-Loup in 1919, with the latter half of the story taking place in Germany, Rome and other parts of the world. "It's been compared to John Irving and Gabriel Garcia Marquez. It is magical realist. It's dark," said Toyne. "It reminded me also of Perfume by Patrick Süskind, if anyone's read that fabulous book. Terrible movie, but fabulous book. It's up that kind of alley for the sort of weird and wonderfulness, and the spinning of just a giant yarn." The novel was first published in Quebec in 2012, under the title La Fiancée Américaine, and it won Quebec's two top literary prizes, the Prix des libraires and Prix des collégiens. In English-Canada, however, the book has yet to make huge ripples. "I think it's just [that] books in translation are famously difficult to sell in the English language market, be it Canada, or the U.K., or America or wherever," Toyne explained. The Giller announcement was made in Toronto, with Toronto media in attendance, most of which is English-based. Ian McGillis of the Montreal Review of Books says the language divide makes it tricky to track the book's real success. "Check the shelves in just about every household in Quebec with any inclination toward literary fiction and you will find a copy of Dupont's novel," McGillis wrote. "It's the Thriller or ABBA's Greatest Hits of its world, with a popular reach most serious writers stopped dreaming of decades ago." The Giller nomination could make the book a major success in the rest of Canada as well. Although the novel has roots in Quebec, Toyne says the story should appeal to all Canadians. She notes one eccentricity of the Lamontagne family is that there must always be a living Madeleine in the family. In 1910, when an eligible bachelor in the family can't find a Madeleine in Quebec to marry, he brings in a Madeleine from America. "They're all very suspicious of the American and they're all comparing how Canadians do things and how Americans do things," said Toyne. "So I mean, in that sense it's just exactly the same kind of thing that we talk about here all the time." Toyne describes the book as funny at times, and dark and disturbing at other times. The novel is also lengthy at 600 pages, but that didn't deter her. In fact, she found it almost addictive. "I found it very easy to just sit there for hours and hours and read this." Toyne found faults with the narrative at times, but she does recommend that you read it. "It won't take you as long as you think because you will devour it." If you'd like to enter to win a copy of Songs for the Cold of Heart, click on the 'contact' link, and tell us the province where the first half of the novel takes place. Please include your mailing address. To hear the more from Becky Toyne, download our podcast or click the 'Listen' button at the top of this page.